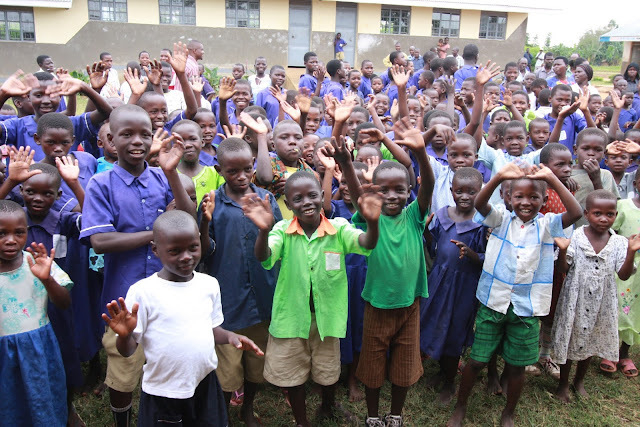 Children In Uganda Get Their Own School Garden! Children at the Nashisa Primary School in Uganda are dancing with joy - they just received three acres of land to start their very own school garden! School gardens are a critical piece to ending child hunger in Uganda and achieving food security for thousands of children. Often, these children's families are too poor to provide regular meals for them. Children have to sit through a full day of classes fatigued with hunger gnawing at their stomachs. But your support of food for the Hungry helped Nashisa establish their own garden. You provided seeds, fertilizer, and more! And daily life for these young students is on the brink of transformation. With help from their teachers, students have already planted enough maize and beans to feed over 1,000 children a day! Your generosity started it all. Thank you for making such a huge difference for so many children and families! You can help more families in Uganda become food secure by sending an Ag-Pack today! Food for the Hungry: Children In Uganda Get Their Own School Garden!